Preheat oven to 350 degrees fahrenheit. In a large bowl, whisk together flour, oatmeal, baking powder, baking soda and salt. Set aside. In another large bowl (or bowl of your electric mixer), beat butter and sugar until smooth. Add the eggs and bananas and mix well. With a large spoon, mix in the flour mixture until just combined. Spray muffin tin with a non-stick spray. Pour batter in about half full. 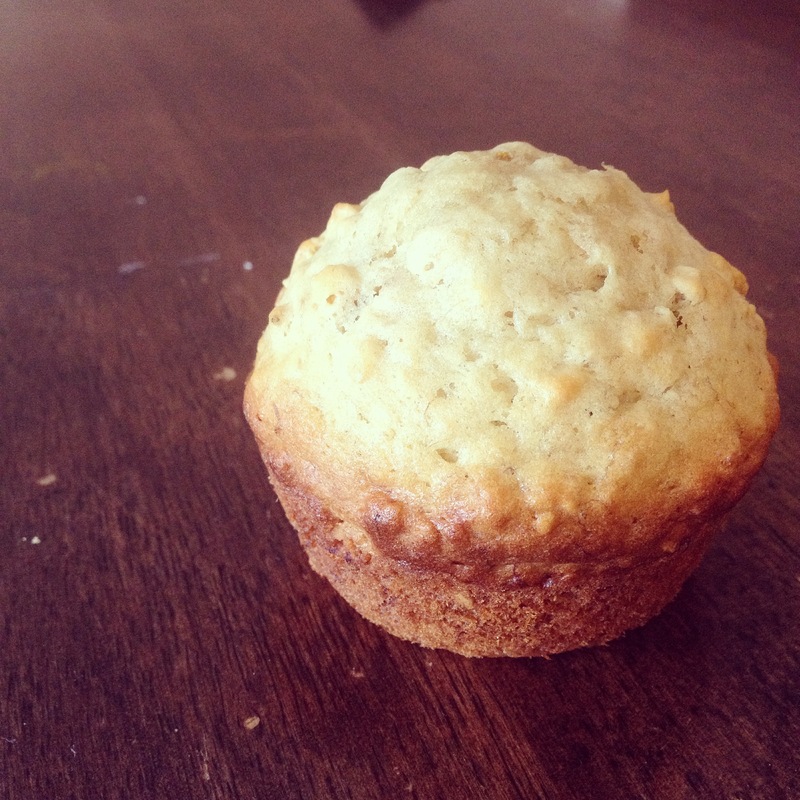 Bake for about 17 minutes, until the tops of the muffins bounce back when pressed. 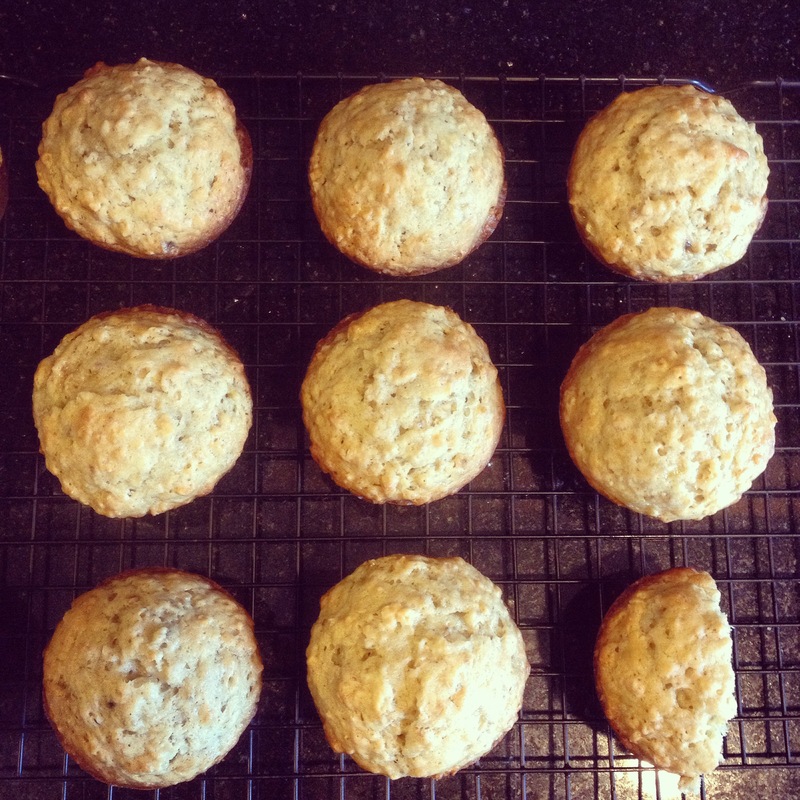 Remove muffins and place on a wire rack to cool completely. Enjoy!